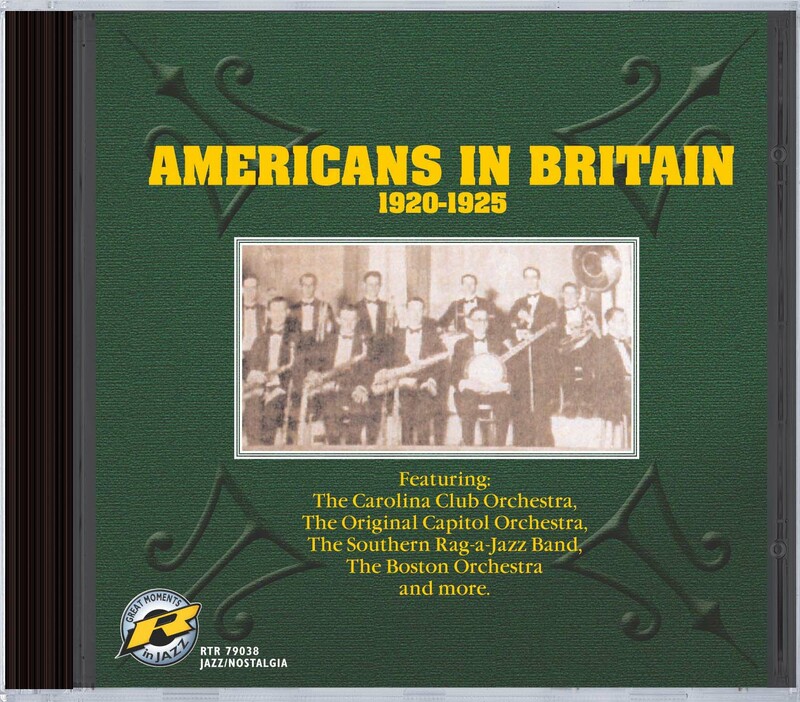 Several early white American bands recording in Britain.Particularly noteworthy because little,if any,of this material has been previously released on CD and most not even on LP! The Original Capitol Orchestra was a genuine "riverboat"band of great historical interest,who never recorded in America.The Carolina Club Orchestra later developed into the famous Hal Kemp Orchestra.These were Kemp's first recordings. Most of these recordings are hard to find on the original 78s and collectors pay high prices for items like The Original Capitol Orchestra's 'Tiger Rag'.American collectors in particular find these recordings very desirable. "John RT Davies has teased a full, clean sound out of the original 78s. A 'Must Have' for anyone interested in jazz od the early 1920s."